Yorkton Business Improvement District is very proud and excited to host and coordinate the 21st Annual Yorkton Santa Claus Parade! 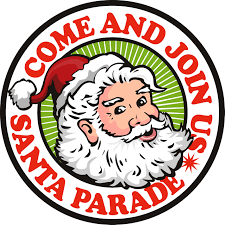 We are inviting all Yorkton Businesses as well as Yorkton's many Community Service, Charitable Not-For-Profits, Sports Teams or School Groups to put in a float, a car, a horse drawn trailer, or just walk and advertise your organization to all the Parade watchers. This is a fantastic community event, that regularly draws 1,000's to watch. To enter your organization into the parade portion of the event, please download and fill out the registration form by clicking the link below! NOTE: if using as eForm please SAVE the completed form to your local computer before submitting, otherwise your form information will be lost! Also, if the Volunteer registering is a minor, under 19 years of age - we will require a MANUAL guardian or parental endorsement on the form. eSignatures on guardian or parental consent for a minor will not be accepted. For further information regarding volunteering or participating in the event in other ways please use the contact information listed on the application forms linked above!